Upgrade your Asheville adventures by delving into the impressive features of the new Acura MDX including AcuraLink, voice recognition, rear entertainment, and advanced safety technology. From the Collision Mitigation Braking System to Lane Keeping Assist, you can drive safer. 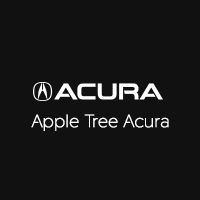 When you’re ready to take your Hendersonville commute to the next level, stop by Apple Tree Acura to pursue the Acura MDX for sale and for lease in Fletcher, NC! Learn more about how the 2019 Acura MDX stands up to its competition. Our sales team is standing by to get you behind the wheel of the model that best suits your budget and driving needs, and it’s their goal to make the car-buying process that much less stressful. Contact us today to get the process started.